Check Ravelry, look at comments and check for errata before starting to knit. Look at the schematic. If there isn’t one, draw the shape and the direction of the knitting. It’s all about mind set. If you think you can, you’re right, if you think you can’t, you’re right! Choose lace stitch patterns with strong visual design lines. Stitch patterns with wrong side rest (purl) rows are easier to learn. LACE knitting has REST rows, kniTTed lace has paTTern on both sides. Enlarge the chart if it’s difficult to see. Colour around the repeats if chart is black and white. Understand stitch orientation. The yarn goes over the needle from the front to the back. The front leg is on the right, the back leg is at the left. When working yarn overs before and after purl stitches maintain stitch orientation. Try reversing stitch orientation, if knitting style creates holes of varying size. Lace patterns with static stitch numbers have a decrease to match every increase. Lace which grows in size, has extra yarn overs. Work out how to splice your yarn before you start the project based on the fibre content. Can you do a felted join with moisture and friction? Will a Russian join work? Are you comfortable weaving in ends? Put charts in the order to be knit. Sometimes publishing space concerns create reverse order layouts. Just photocopy the pattern and rearrange. When reading charts, knit the right side from right to left. Knit the wrong side, reading left to right. Repeat sections are marked on the chart, knit to the repeat, knit the repeat as many times as it fits in the number of stitches on the needle, knit any additional stitches outside the repeat to end the row. Extra stitches beside the repeat are there to make balanced complete patterns. Use lifelines. To create a lifeline, finish a row of knitting and then using a needle, thread a smooth yarn such as cotton, in a contrasting colour through the line of stitches on the needle. Make sure the contrast colour dye does not rub off. Use a length longer than the width of the work plus enough to tie knots at each end so you can still spread the work out fully. It’s easier to work in the centre of a circular needle or off of a smaller needle. If you make a mistake, you can rip back to the row held by the lifeline, replace the stitches back onto your needle, and start the row over. Be sure not to thread the lifeline through your markers. If you miss working a yarn over, simply lift the strand between the stitches and work into it. Do a swatch of the pattern stitch and analyze how the stitches relate to one another in all four directions. 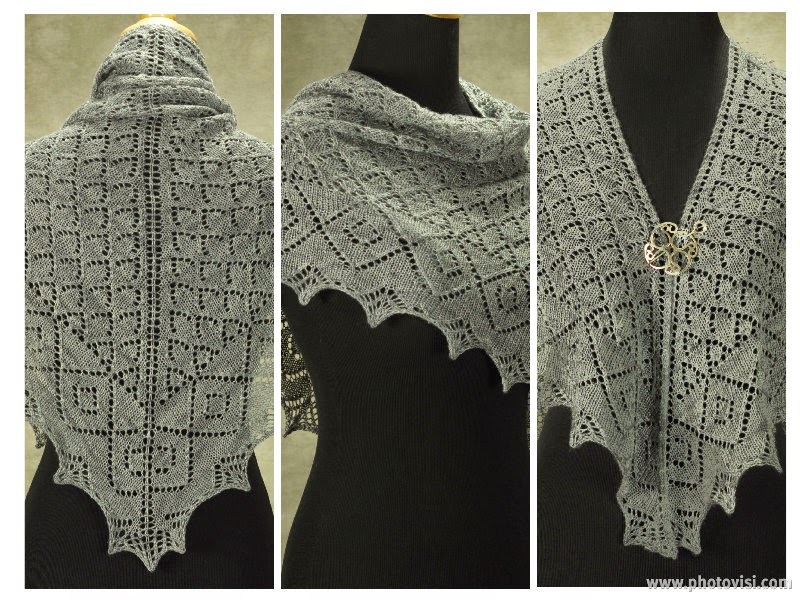 Great tutorial, Robin, just at the right time for me to start some lace. Thanks.